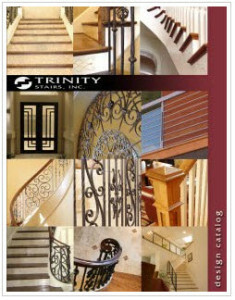 Trinity Stairs has provided stair building services to area home builders for over 20 years. We utilize our extensive experience to provide our local and national home building partners with quality service second to none. Why Do Builders, Architects and Designers Use Trinity Stairs? Straight or curved staircases are no problem for Trinity Stairs. Design, manufacturing and installation is what we do. Please take a moment to browse a selection of our work for some of the top builders in Texas. Enjoy a taste of the possibilities of tomorrow. Our attention to detail and expertise sets us apart in the stair industry. Feel free to call us with any questions you may have; we are here to serve all of your stair needs. View our idea catalog for a quick sampling of our work.